The Residences of The Inn at Rancho Santana were created to satisfy the increased demand for high-end, beachfront accommodations at Rancho Santana, The Residences have been designed to complement The Inn by offering additional living space, kitchen facilities, and over-sized outdoor terraces for entertaining. 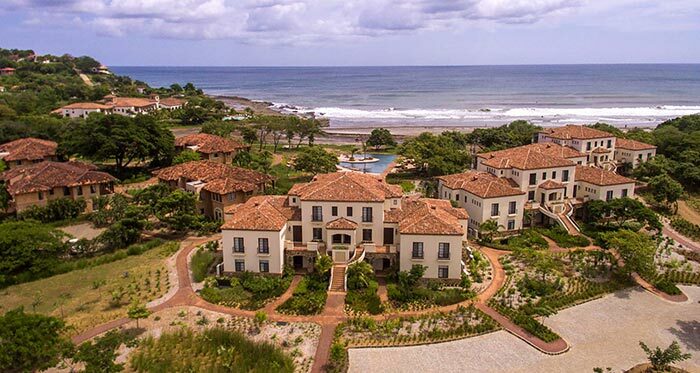 The Residences at Rancho Santana offer an unprecedented “turn-key” investment opportunity for those looking to invest in Nicaragua’s most desirable beachfront development. The Residences offer the same luxurious look and feel that guests have come to love about The Inn. These three bedroom, three bathroom units emulate the upscale, “rustic elegance” of The Inn and come fully furnished – complete with high-end finishes and accents (fine art, custom linens, sheets, etc.). This turnkey unit emulates the upscale, rustic elegance of The Inn – complete with high-end wood and iron finishes and accents. All units boast incredible ocean views. Rancho Santana has currently sold 20 out of their 21 units, with only one left for sale, the Unit 7-C, which is on the ground floor. Being a part of the Rancho Santana community, owners have full access to stores, pools, clubhouses, stables, as well as their 5 private beaches.